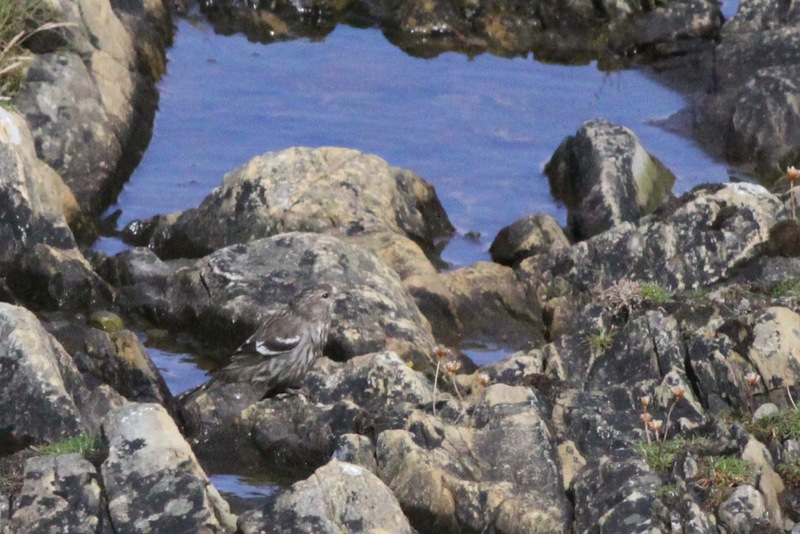 Passerine migrant is yet to get going, but Census has been kept interesting by passage waders and the continued presence of Two-barred Crossbills. 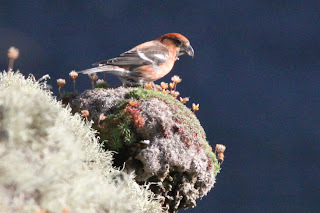 The male Two-barred Crossbill at Hoini. The flock at Hoini is still at least six strong today (with a similar number of Common Crossbills) with another bird found on Buness (also with a Common Crossbill). Come in number nine. Assuming this is a new arrival, it's our ninth Two-barred Crossbill of the year (and our 58th ever). The Subalpine Warbler, 2 Tree Sparrows and Chiffchaff are all still present. Waders were represented today by 20 Black-tailed Godwits, 3 Ruff, 4 Green Sandpiper, 2 Knot, 10 Dunlin and 2 Golden Plover (with Greenshank and Common Sandpiper yesterday). 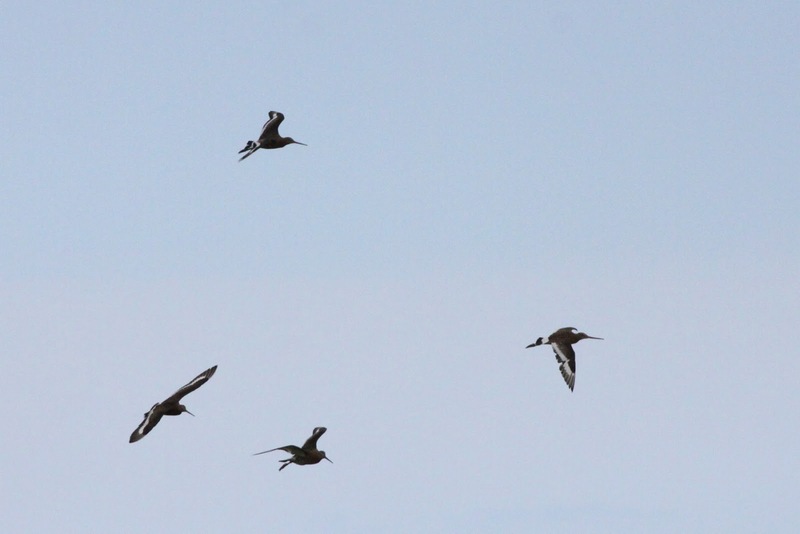 A flock of 17 Black-tailed Godwits dropped into Quoy this afternoon, then another 3 arrived at Barkland, producing a record count for Fair Isle. 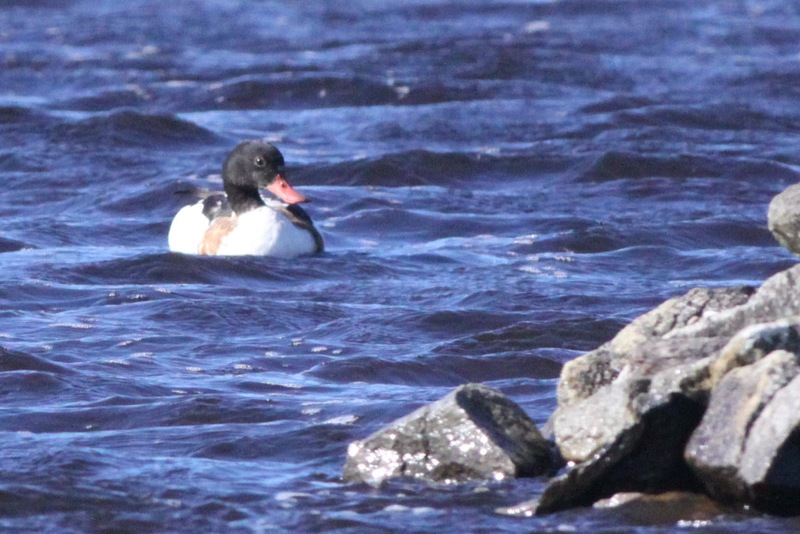 ﻿Wildfowl included 3 Shelduck, 4 Common Scoter and 3 Teal. An addition to the year list came on 3rd in the form of Sooty Shearwater (which was seen from the Good Shepherd along with 3 Storm Petrels), whilst 2 Manx Shearwaters were off North Light on 2nd. Common Gulls are also passing in large numbers, with 344 noted today on census. 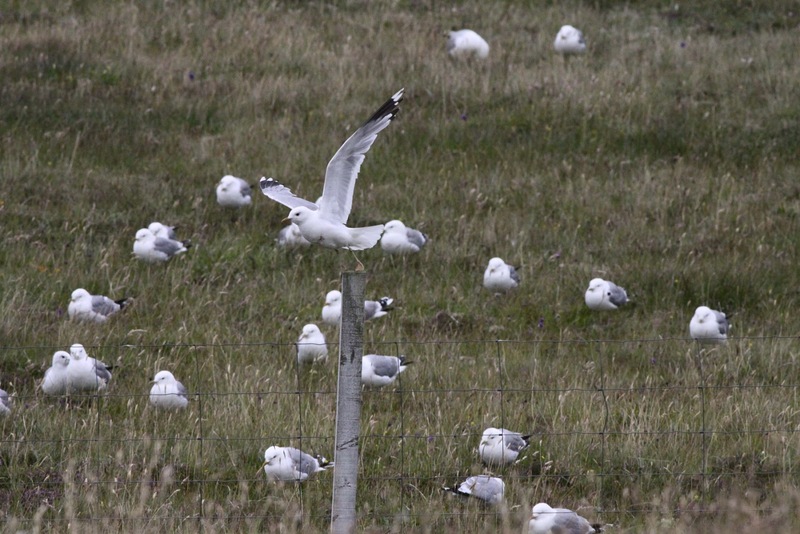 Very few are juveniles, suggesting a poor breeding season. After two days of quite strong southerly winds, the conditions are calming off now and it's starting to look very promising for petrel ringing tonight (we're still hoping for one more Leach's Petrel to break the record Fair Isle annual total, and I'm still hoping for something else...). With light easterly winds forecast tomorrow, it could also be good for a few early migrants as well. Got to be Swin it to Win it!